Have a little female science lover in your house? 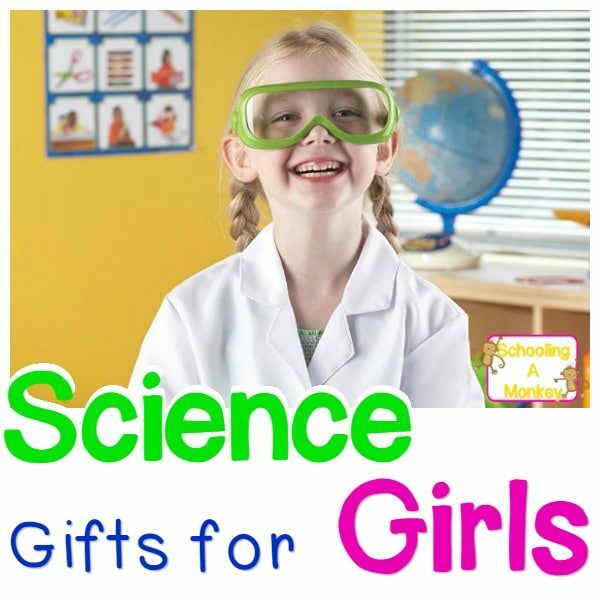 These science gifts for girls are ideal for girls in preschool through second grade. If you can’t tell by now, we’re huge science lovers and STEM lovers around here. A lot of families love STEM activities and kids science projects, but a lot of those families have boys (just boys or at least one boy). At our house, we have the privilege of raising two science-loving girls, and we absolutely know that girls love science just as much as boys! 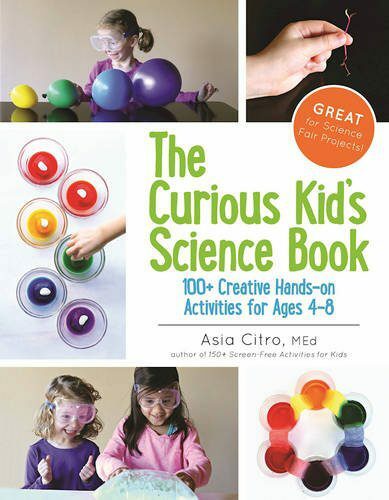 This gift guide is in honor of our youngest scientist, Bo, who is about to turn four. You don’t have to wait for your child to enter school to foster a love of science. 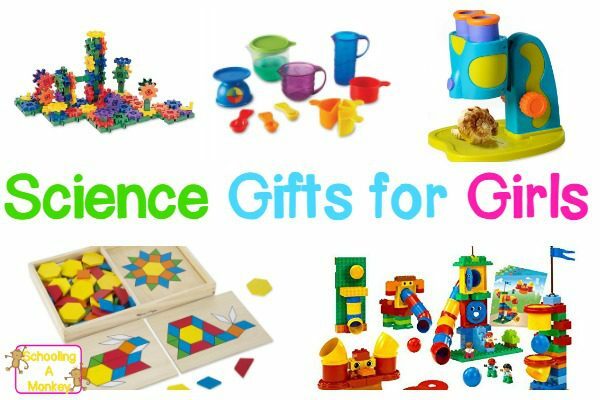 The best thing about these science gifts for girls is that it encourages girls to think creatively, independently, and prepares them to start school with confidence and a desire to learn. You can’t ask for anything better than that in a gift! 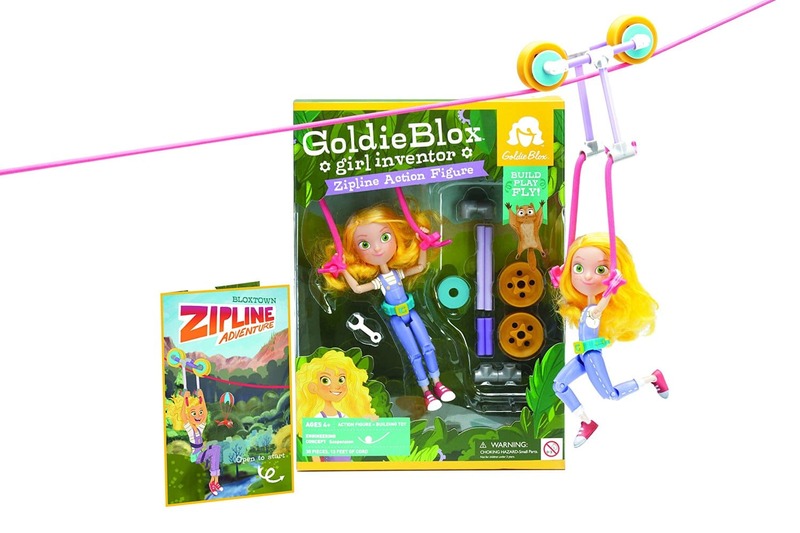 If your daughter is new to science and STEM, Goldie Blox are the perfect bridge for doll-loving girls who will soon become science-loving girls! The brightness of this kit definitely appeals to my preschooler. Our microscope is one of Bo’s favorite toys. 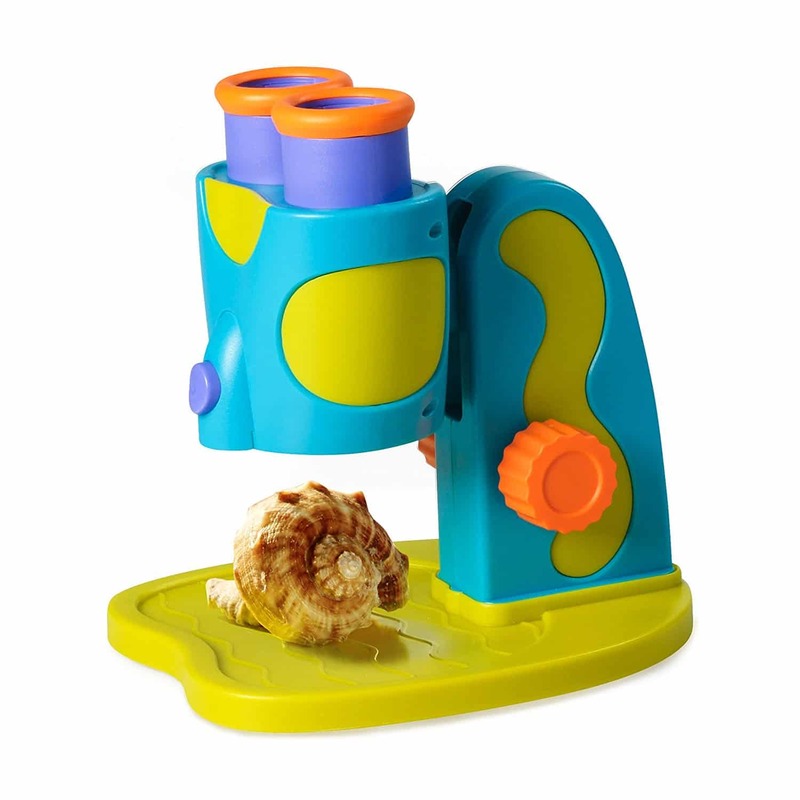 She loves looking at things in the microscope, and this preschool-friendly model is perfect for little hands. Learning about colors is a fun introductory science concept for preschool girls. 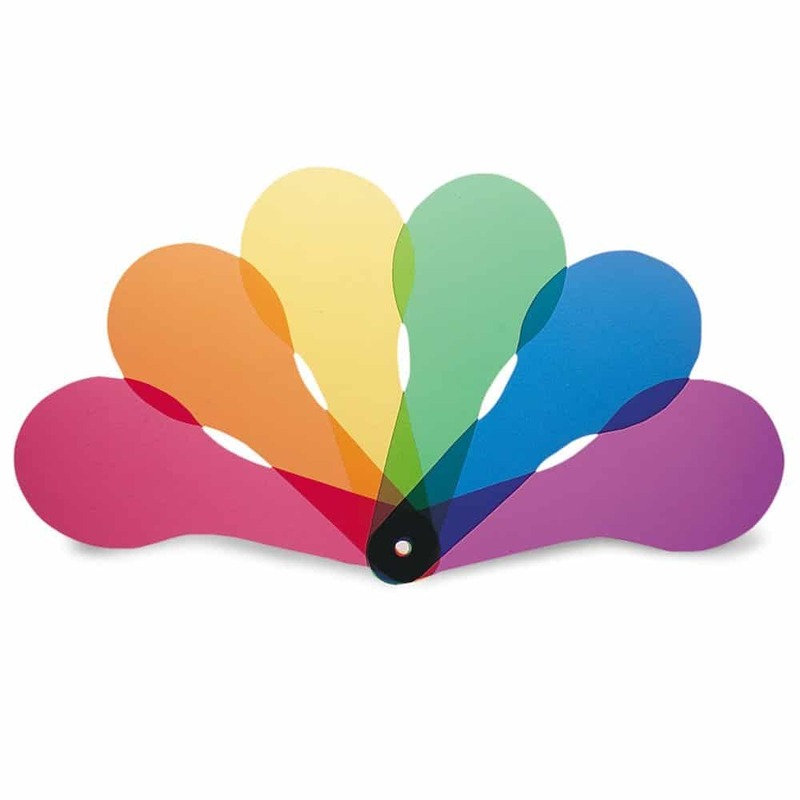 Bo loves playing with colors and this simple toy would keep her occupied for hours! My preschool girl loves pouring, measuring, and cooking. 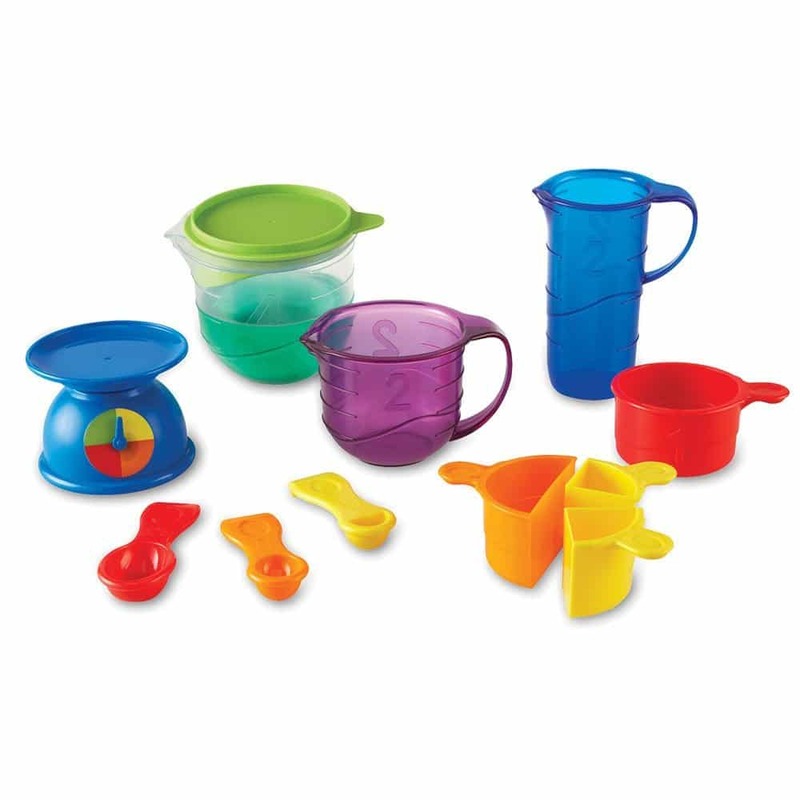 This measuring set would be the perfect gift to bridge a love of mixing into the science lab, and it helps preschoolers learn how to build practical life skills with games as well! Bo would absolutely flip if this was one of her gifts. I love that it teaches coding concepts from such a young age. It also has expansion options! 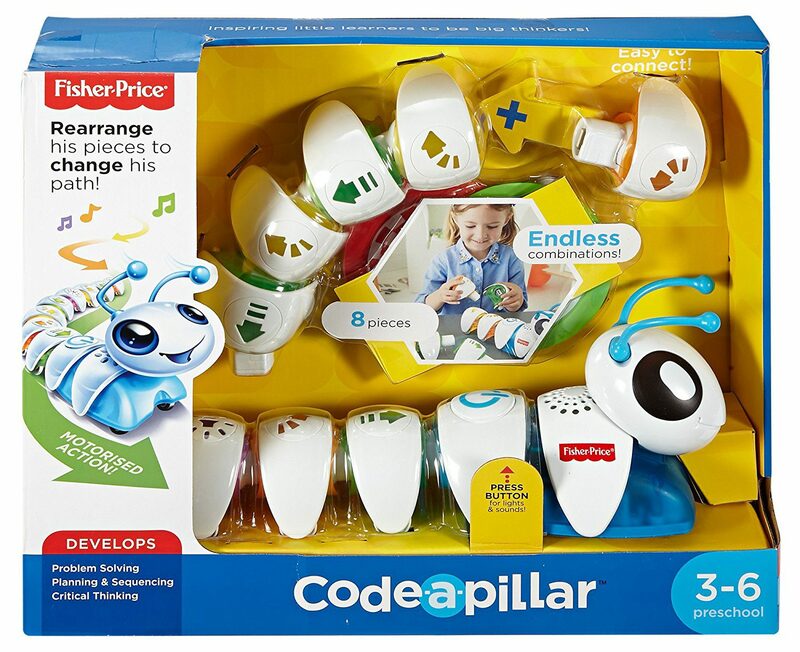 I love that this coda-a-pillar moves around, it’s great for active kids. 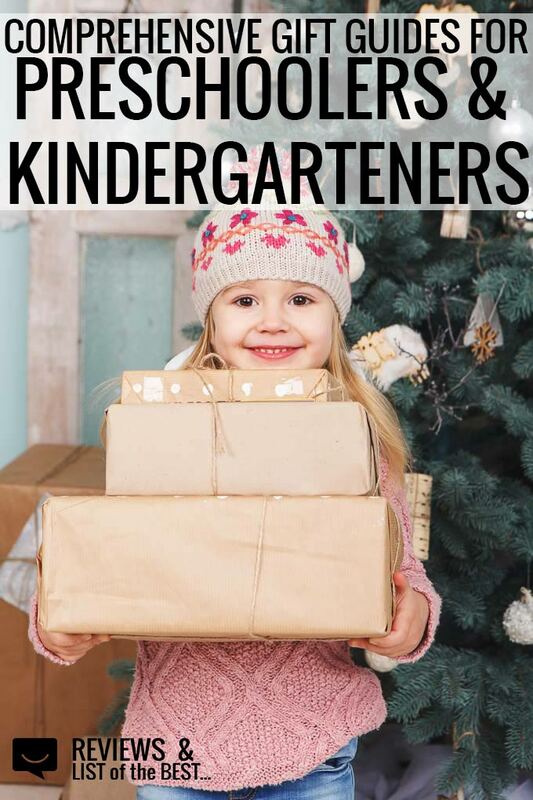 This list of gifts for preschoolers who love to move is also great! This very Duplo set is on our wishlist this year for Bo. 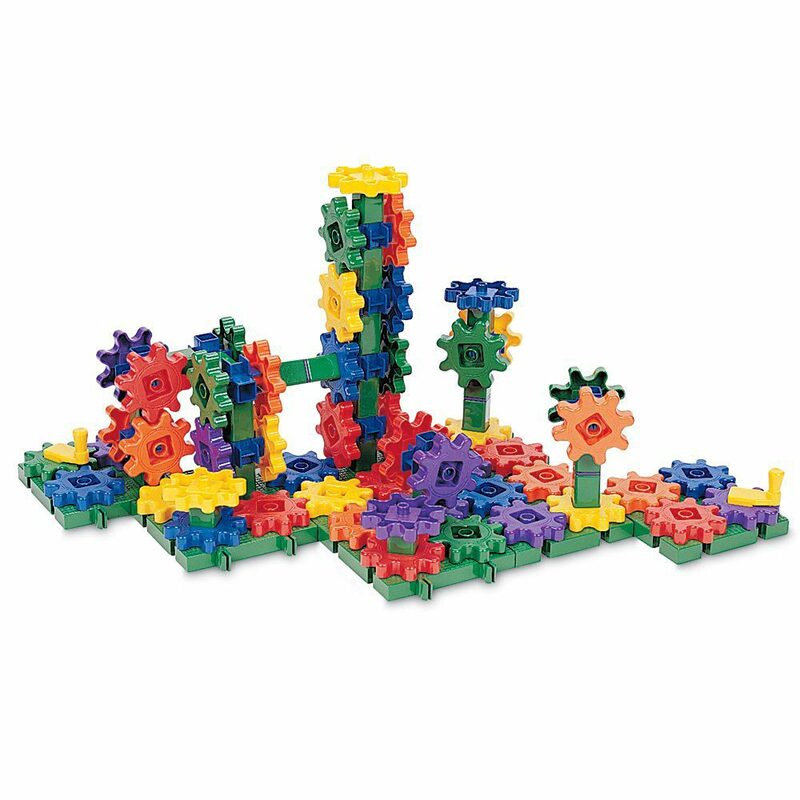 Duplos are just the right size for little hands and the educational add-ons make them even cooler. 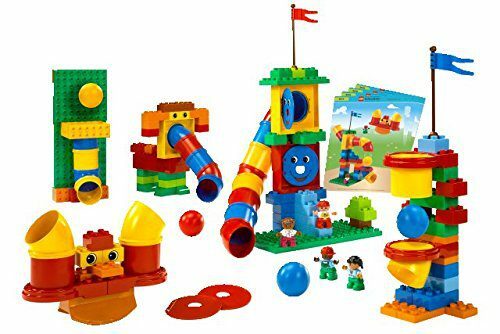 We also love this Duplo education pack. 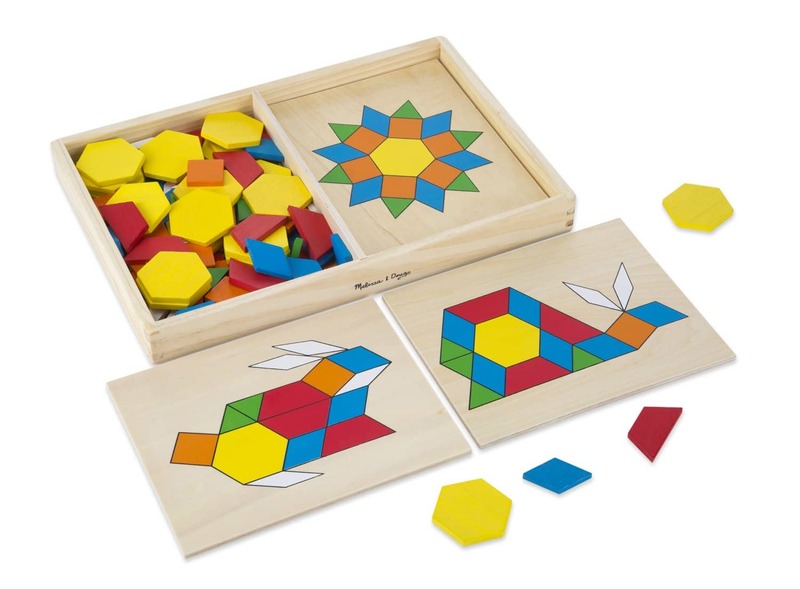 Use these tanagram blocks to introduce preschoolers to spacial awareness. 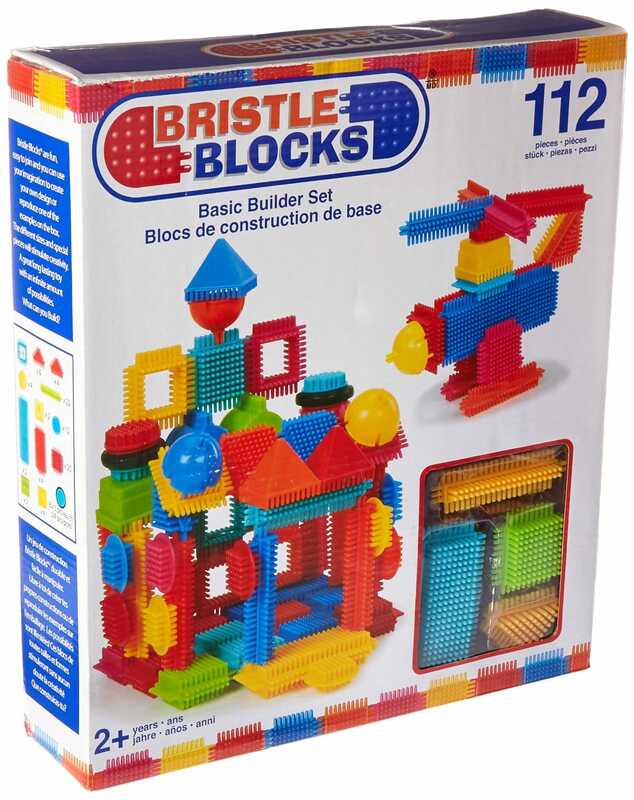 I cannot count how many things my siblings and I made out of Bristle Blocks when we were kids! It was such a fun way to explore building and engineering. Find more building toys and gadgets gift ideas here! 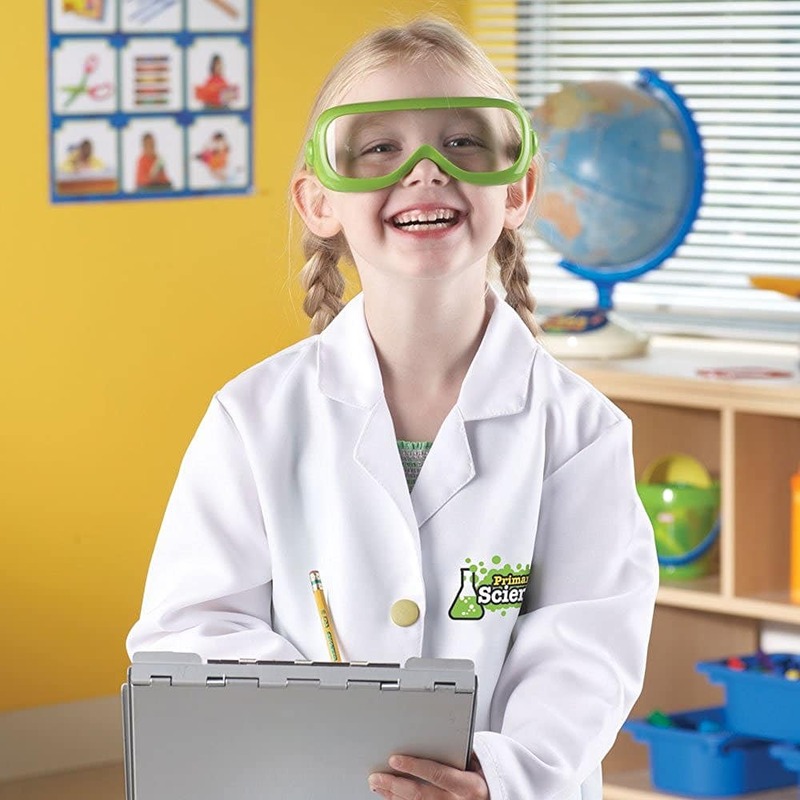 Dress your little scientist for the part with this scientist dress up kit complete with safety goggles. 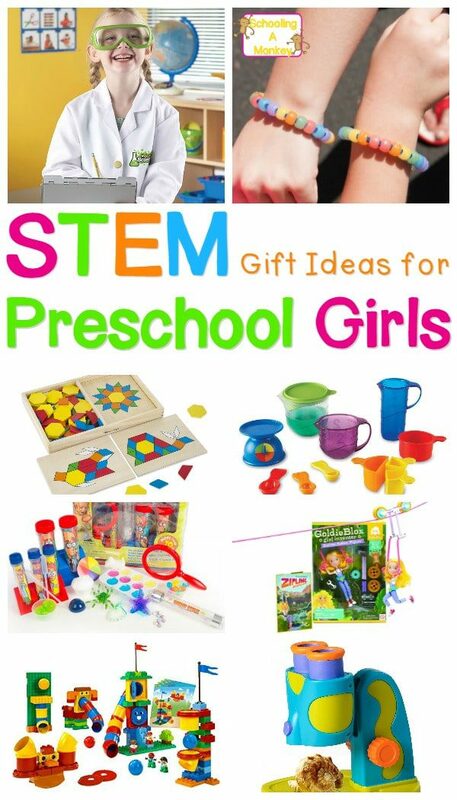 If you’re not sure where to start with science gifts for girls, these STEM-themed and science-themed kits are the perfect place to start. 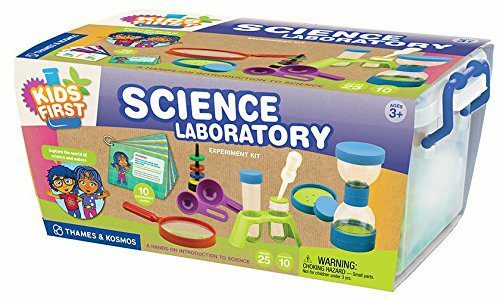 These kits allow preschool girls to explore science with everything they need in one easy-to-use package. 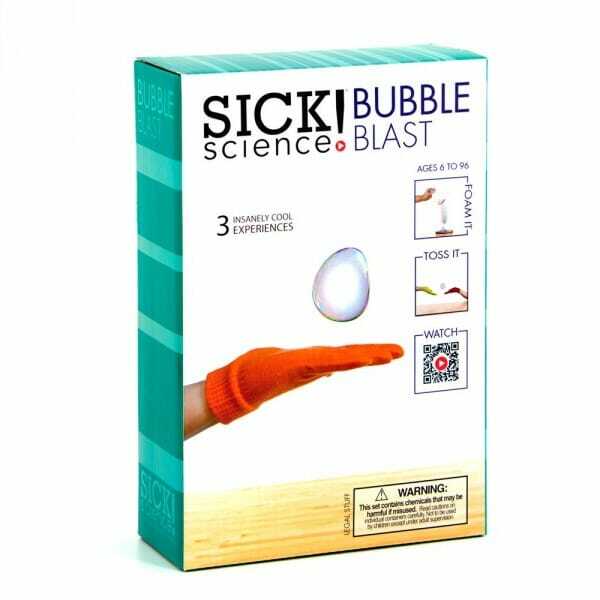 This bubble science kit will delight preschoolers! 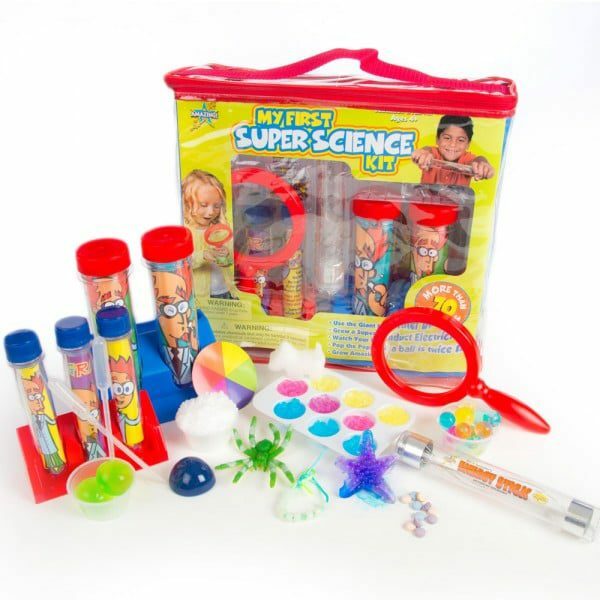 For the youngest scientists, this little kit has everything you need. 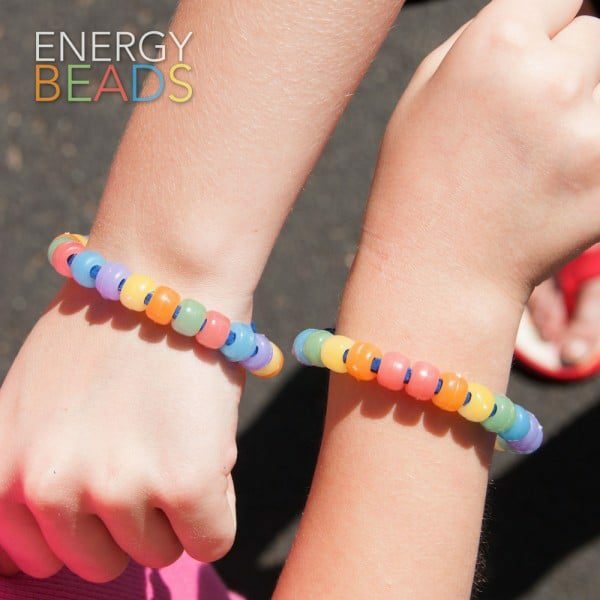 This kit includes the energy bead bracelets pictured above and many other fun projects! 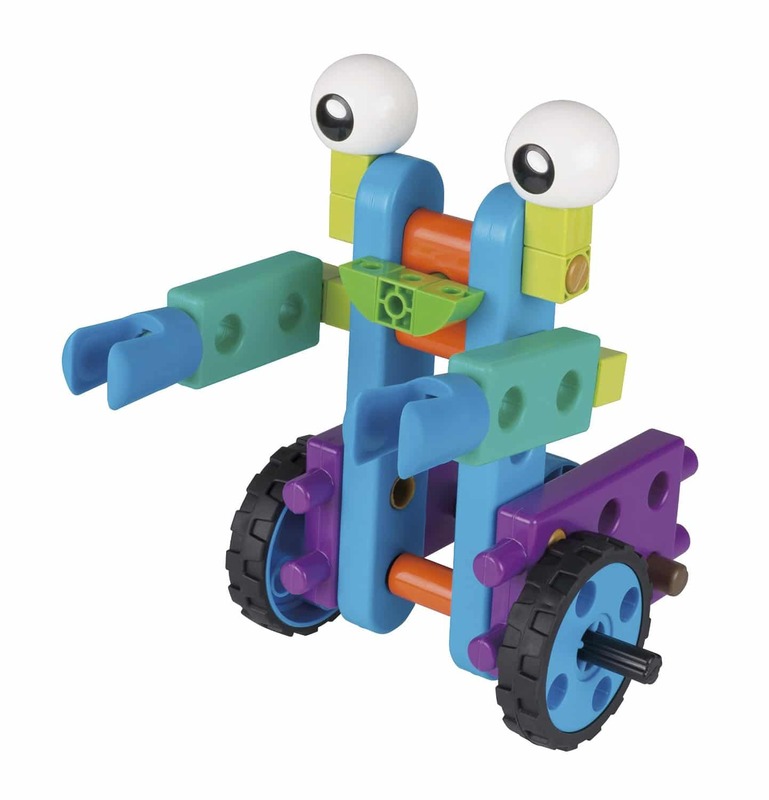 This robot kit gives preschoolers everything they need to build their own robots. Give your young scientist this complete kit and she’ll start a life-long love affair with science. 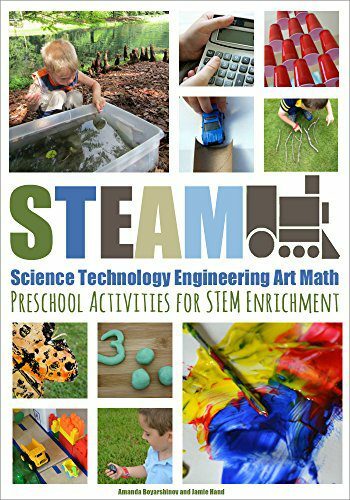 My girls absolutely love these STEM-themed books! You’ll have hours of fun with these books! We have hundreds of STEM activity ideas and science projects for preschoolers on Schooling a Monkey. 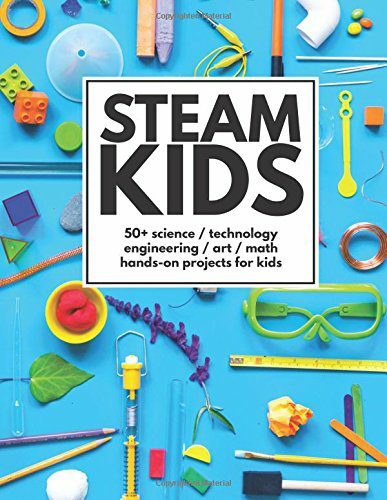 After checking out our STEM activity plans, download the STEM supply list here and keep your girl’s love of science going year-round! Click the image below to see more amazing gift ideas for this age group!